Neomia "Ann" Sebra Medlin, 83, of Raleigh, passed away, Saturday, December 30, 2017 at Raleigh Rehab surrounded by her family after a long battle with Alzheimer's. 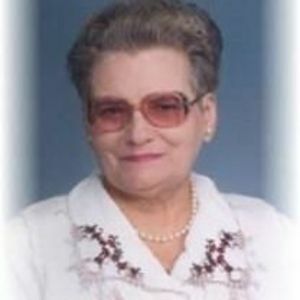 Ann was born January 25, 1934 in Bluefield, VA to the late Paul and Hattie Carter. She was a beloved wife, mother and granny to her family. Ann was always known for her bright smile and positive attitude. She was preceded in death by her husband of 43 years, James C. Medlin and brother, William Carter. Ann is survived by her daughters, Paula A. Grimes (Tony), Donna L. Medlin (Lisa) and Amanda F. Dupree (Billy); son, Paul N. Medlin (Allison); brothers, Jackson O. Carter and James Carter (Pat); sisters, Margaret A. Medlin, Betty French, Mary Ellen Miles (Glen) and Priscilla Leedy (Howard); nine grandchildren and fifteen great grandchildren. A funeral service will be held 3pm Wednesday, January 3, 2018 at Apex Funeral Home Chapel, 550 W. Williams St, Apex, NC 27502 with Pastor H. Lee Marlow officiating. Burial will follow the service at Apex Cemetery. The family will receive friends 2-3pm prior to the service at the funeral home.